Meet the fearless teenage protagonist from The Dead Lands who leaves no stone unturned in his mission to kill his father’s murderer. Showcasing this tale of vengeance and valor, &flix is set to premiere ‘THE DEAD LANDS’ this Sunday, August 12 at 1PM. Directed by Tao Fraser, the film stars James Rolleston in the lead role along with Lawrence Makoare and Te Kohe Tuhaka in pivotal roles. The film is based on two rival tribes spearheaded by Tane (George Henare), the chief of Maori and his nemesis, Wirepa (Te Kohe Tuhaka). As Wirepa desecrates the ancestral remains of the fallen warriors, war seems to be imminent. However, in the dead of the night, Wirepa and his men commit a brutal murder of Hongi’s (James Rolleston) father and the Maori’s chieftain Tane. This ignites a fire of intense aggression and vengeance in the heart of young Hongi, as he sets on a mission to make Wirepa pay for his sins or die trying. While his aunt blames him for his father’s death, the ghost of Hongi’s grandmother visits him with a word of caution. She advices him to take the help of a ruthless fighter named ‘The Warrior’ who perhaps is a demon himself. Will The Warrior back Hongi in his battle for revenge? And will he kill the villainous Wirepa? 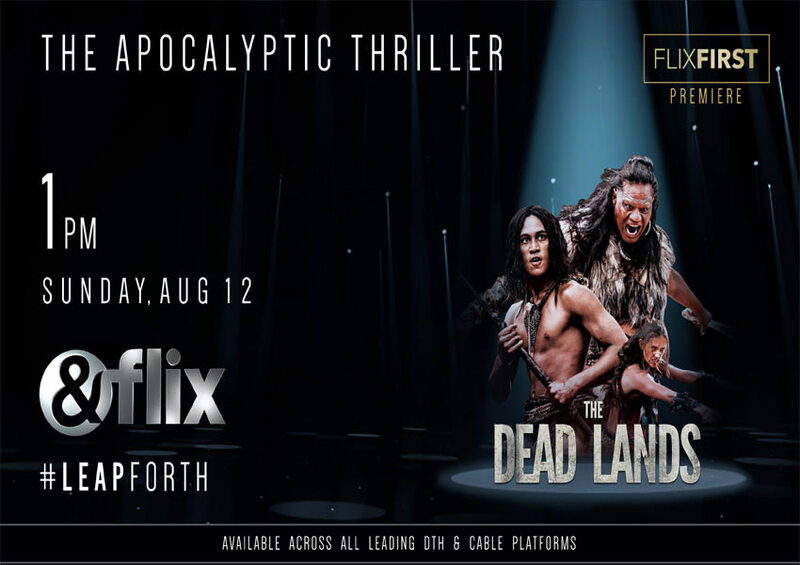 To find out, don’t miss the catastrophic thriller as &flix showcases its latest Flix First Premiere – The Dead Lands!